Admittedly, I have a bit of a sensitive sense of smell, and when I say "a bit," I mean I can smell funnel cake from three blocks away and everyone else thinks I'm crazy. It's a blessing and a curse because I can often smell funky stuff before anyone else too. Even if you don't have a sensitive nose, making sure your house and car smell fresh is a wonderful way to make your environment a little less stressful. Check out a few of these odd hacks for amping up the fresh scent. 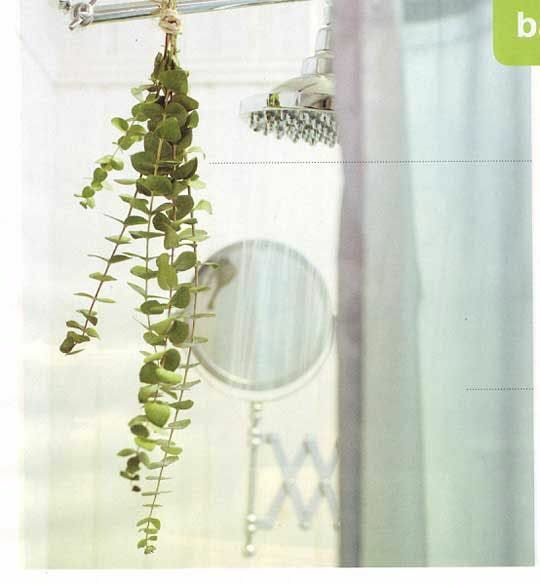 Create a bathroom oasis by hanging a branch of Eucalyptus in the shower. Steam from the shower will release essential oils and produce a comfortable smell. Try to hang it away from the running water and it'll last for a few weeks, according to Apartment Therapy. Poke holes in the lid of a mason jar and place a few scented wax cubes in the jar, close the lid and leave it alone. The wax will melt when the car heats up, releasing the scent. Create your own fall-inspired scent with cinnamon sticks, apple peels, orange rinds and whole cloves. Add the ingredients to a saucepan of water and bring it to a continuous boil. You can add more water as it evaporates for a lovely smell that will last all day. Check out more recipes from Tipnut. 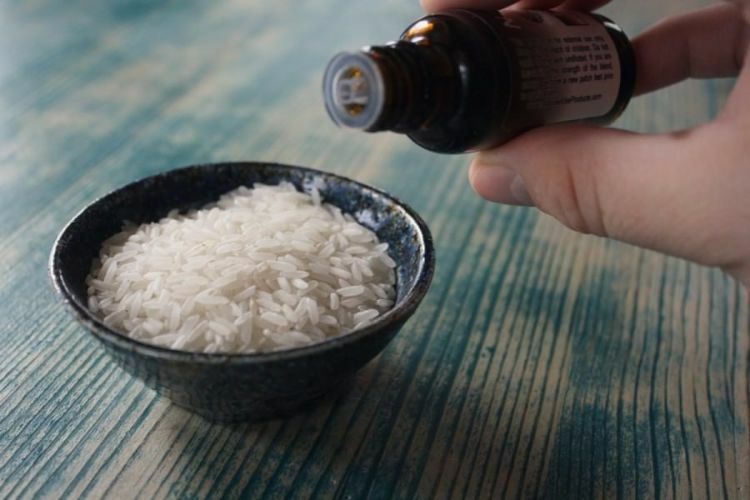 Add a few drops of your favorite essential oil to a bit of dry rice. Place the rice in a jar with holes in the lid (small holes). Leave the scented rice in the car. Give it a shake whenever the scent starts to fade. Get rid of house odors by filling a bowl with vinegar and placing it on a counter or in the corner of the room to get rid of smells. Dispose of the vinegar after a few hours. Coat a wood clothespin with your favorite essential oil and hook it to an air conditioning vent. 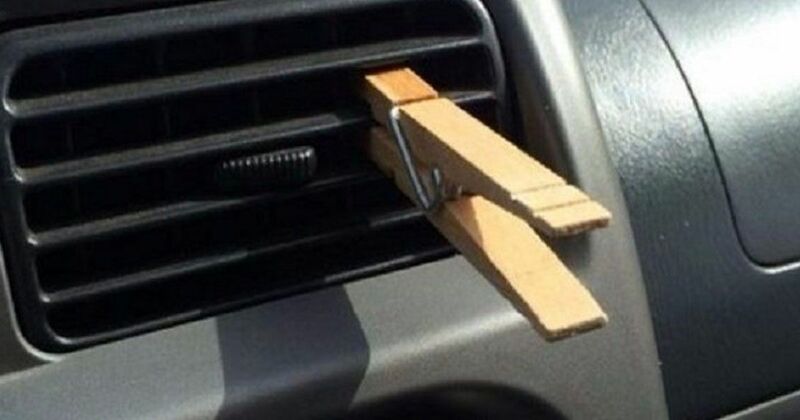 Whenever you turn the air on, the scent will be distributed throughout the car. If you're out of your favorite aerosol spray (or you want something more natural), try making your own with water, salt, unflavored gelatin (not Jello) and essential oils. Check out the full recipe from One Good Thing. Pour fresh coffee grounds into an old sock, and tie the sock in a knot and toss it under a seat in the car. If you want to hang it, try using a colorful sock instead. 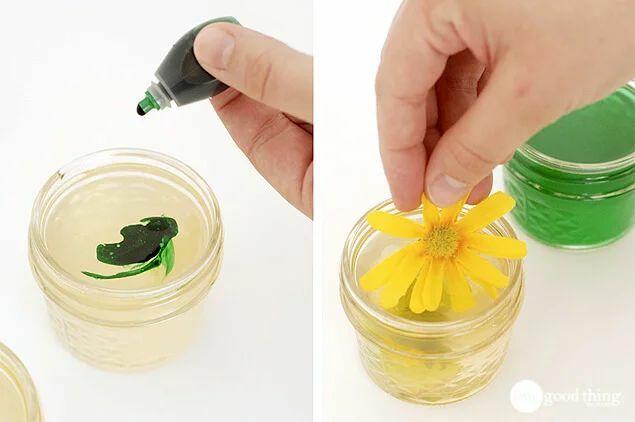 Check out the tutorial from Instructables. Help keep kitchen odors at bay and make your garbage can cleaning duties a little easier by stuffing a few old sheets of newspaper in the bottom of the can. The paper will soak up the smells and catch any spills. Just toss and replace when you take out the trash. Leave an unlit candle in your car's cupholder. The candle wax will soften in the heat and release the scent of the candle into your car. There's no need to suffer through a smelly life, thanks to these simple hacks. Don't forget to share these with your friends on Facebook and you'll (hopefully) never have to ride in a friend's smelly car again.